The application of Fourier transform infrared spectroscopy and laser Raman spectroscopy for obtaining structural information about the subtle changes occurring at the molecular level following leprosy, pulmonary tuberculosis, infected burns, epilepsy and Duchenne muscular dystrophy (DMD) are reported in this paper. It is shown that IR spectra exhibit specific signals for each disease. Results of the observed bands of hemoproteins are compared with those of normals. Raman spectra of IgG reveal that alpha-helical conformations are introduced partially in case of the proliferation ofMycobacterium leprae. These results are supported by our IR studies. Typical signals of perturbed stretching region are seen in the pulmonary tuberculosis cases. Disappearance of a few normal bands and strong peaks in the hydrocarbon region characterizes epileptic disorder. Perturbations in the Raman spectra of erythrocyte ghosts are identified following gram-negativePseudomonas aeruginosa infection. Investigations of pathological changes following the onset of body disorders at the molecular level are reported using IR and Raman spectroscopic techniques. Acylation of 5-(2-ethoxyphenyl)-1-methyl-3-propyl-1,6-dihydro-$7H$-pyrazolo [4,3-d) pyrimidin-7-one 1 with chloroacetylchloride in the presence of anyhydrous aluminium chloride affords 5-[(5-chloroacetyl-2-ethoxy)phenyl]-1-methyl-3-propyl-1,6-dihydro-7H-pyrazolo [4,3-d] pyrimidin-7-one 2. The compound 2 condensed with various 𝛽-diketones/𝛽-ketoesters compound, to obtain new 𝛽-diketones/𝛽-ketoesters 4a-i treated with ethylenediamine (EDA) gives 1H-1,4-diazepines. The compounds 5a-i has been screened for antimicrobial, antifungal and anthelmintic activities. We analyse the problem of impedance for a diffusion controlled charge transfer process across an irregular interface. These interfacial irregularities are characterized as two class of random fractals: (i) a statistically isotropic self-affine fractals and (ii) a statistically corrugated self-affine fractals. The information about the realistic fractal surface roughness has been introduced through the bandlimited power-law power spectrum over limited wave numbers. The details of power spectrum of such roughness can be characterized in term of four fractal morphological parameters, viz. fractal dimension ($D_H$), lower ($\ell$), and upper (𝐿) cut-off length scales of fractality, and the proportionality factor (𝜇) of power spectrum. Theoretical results are analysed for the impedance of such rough electrode as well as the effect of statistical symmetries of roughness. Impedance response for irregular interface is simplified through expansion over intermediate frequencies. This intermediate frequency expansion with sufficient number of terms offers a good approximation over all frequency regimes. The Nyquist plots of impedance show the strong dependency mainly on three surface morphological parameters i.e. $D_H$, $\ell$ and 𝜇. We can say that our theoretical results also provide an alternative explanation for the exponent in intermediate frequency power-law form. In continuation to our efforts to develop better treatment options for cognitive decline, we have been focussing on 5-HT6 receptor (5-HT6R) antagonists, which are known to be involved in improving cognitive function in numerous animal models. 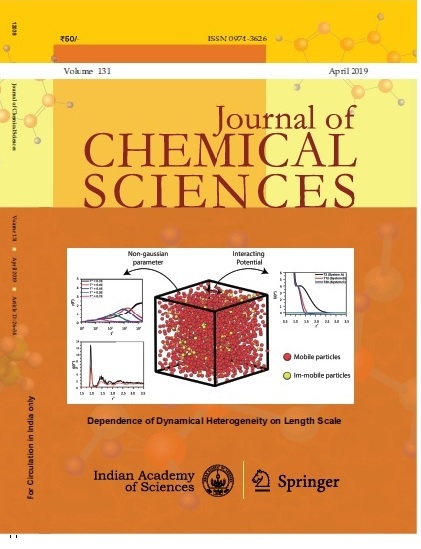 In this paper, we report a novel series of [3-[(1-Methylpiperidin-4-yl) methyl] arylsulfonyl]-1H-indole derivatives as potent and selective 5-HT6R antagonists. The lead compound from this series shows potent in vitro binding affinity, functional antagonistic activity at 5-HT6R, good pharmacokinetic profile, excellent selectivity and no Cytochrome P450 liabilities.